Gorgeous days in Florida..there are never bad days. Even if they start out rainy (like yesterday), the sun comes out before long. I love it. 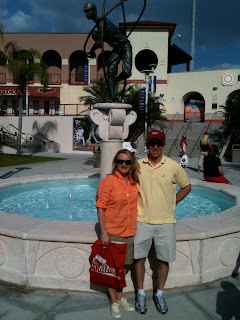 So, today we slept in went to a Phillies game-they played the Baltimore Orioles. We didn't do so well. : ( We like to watch anyway, and there is always excitement! One of the Hooter girls forgot she was supposed to catch foul balls, and everyone yelled at her : ( then we had a guy on the berm pull his pants down when he was on the big screen (he was wearing boxers or running shorts or something, and they immediately took him off the screen, but we could all see him across the field-strange man! ), then there was the double-play by the Phillies-AWeSoMe! and the sweet lady sitting next to me. We talked about the players, and she's from Philly, lives in Center City, and had to leave the game to catch her plane home. I hope she made it safely! She was super nice. There was good action-lots of foul balls, and they really let the guys all play-I like that-they haven't committed to only letting the best kids on the team play. : ) I like it when Clay's team does that too-that's how you get better--with practice! Yesterday we had "box" seats, but today we had home plate seats. I think yesterday's were better since we didn't have to look through a net! And there was actual potential for catching a foul ball. Today=zero chance. Love the palm trees and field-sometimes I just take pictures as reminders of what I like, so I remember. Often I get home, and wish I had gotten pictures of the plain stuff, not just the action. So, I'm trying. 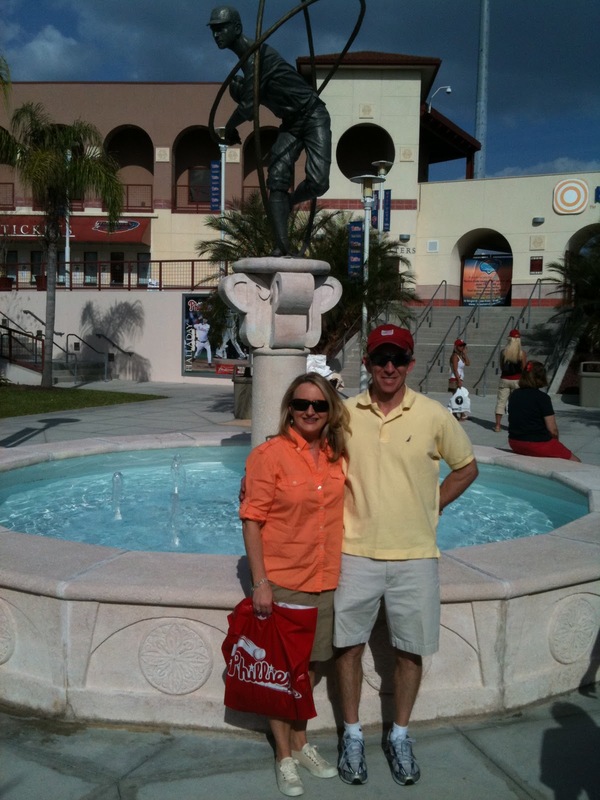 Just a few pictures-we love Tampa, Tampa Bay, and all the water (although near the factory stores, it smelled of corn tortillas-everywhere. And near the ball field, it smelled like musty dirt. It's weird how different cities smell. ).